The Division made these tendentious remarks before obtaining any facts or information from Harris or Troptions, themselves, with respect to the alleged violations. “Only after the press release was issued did the Division seek substantive response from us”, said Harris. Harris went on to say that “the Division could have easily known the falsity of their charges if they had simply asked us first . . .” and “We intend to vigorously defend against the Division’s accusations”. Harris explained that what the Division would have learned is that the facts referenced by the Division were: untrue; taken out of context; and made by a vindictive, disgruntled, former contractor of Troptions. “That former contractor is presently under criminal investigation for the theft of tens of millions of dollars’ worth of tangible property of Troptions and for the destruction of electronic and other corporate records,” said Harris. Harris expressed his agreement that purchasers of cryptocurrencies should carefully consider their options. “There are a good deal of digital currencies out there which will likely never amount to very much; it’s just that TROPTIONS is not one of them”. TROPTIONS is an asset trade system secured by the Bitcoin blockchain. It is an asset that provides its holder with the power to manifest nine financial benefits. TROPTIONS was developed as a hybrid trade dollar to solve the lack of liquidity that occurs in every trade exchange. As an asset TROPTIONS have value, hold value, and can be used for savings of value. It grows in value with the level of demand in the TROPTIONS marketplace. TROPTIONS provide divisibility and fractionalization; and each of it can increase to an immense dollar value and still afford the ability of small purchases. TROPTIONS automatically gain in purchasing power as the holder has the option to trade for an increasing number of goods and services in the business, personal or investment categories. It increases in value as the TROPTIONS holder increases in the knowledge of best practices of acquisition and utilization. TROPTIONS allow for portability of immense wealth that is immutable due to the incorruptible distributed ledger on the Bitcoin blockchain and encrypted for secrecy and security. TROPTIONS are holder controlled providing “A Peer-to-Peer Electronic Asset Trading System” that requires no trusted third party record keeper and demands no gatekeeper. They are easy to acquire, relative to fiat currencies. TROPTIONS many times is the initial asset in a chain reaction of asset trades. TROPTIONS gives you options. They can be exchanged for US currency, other cryptocurrencies or used to trade for items of value. Unique to TROPTIONS is the ability to trade for offerings that are exclusively within the TROPTIONS system. TROPTIONS holders are able to find offers (with favorable prices) that otherwise would not be available to them. The division is seeking up to $60,00 in penalties from Mr. Harris and Troptions Corporation. Due to the damage of the reputation and negative impact on the business, Mr. Harris and Troptions Corporation SHOULD sue the State of Missouri for $1,000,000,000 in restitution. Unfortunately the State of Missouri Securities Division, no matter how much they had good intentions in protecting investors, by “doing their job”, have been the ones who have been “misleading”. Unfortunate. January 19, 2018, Boca Raton, FL – Troptions Corporation, a trading company that has built a vibrant community providing exposure to a myriad of trading options announced that it has sponsored the American Arena League as well as its 13 member teams for the sum of two million fifty thousand dollars ($2,050,000.00) in cryptocurrency for the 2018 season. Since the AAL has been fielding many inquiries from teams across the US, expansion teams slated for 2019 and those joining the AAL beyond 2019 will also reap the benefits. These teams include those participating in the anticipated 2019 AAL Western Division. AAL CEO Tony Zefiretto commented, “The Troptions sponsorship is designed to not only benefit our current AAL teams into the future, it will also benefit those teams joining the AAL in 2019. Additionally, one of the Troptions companies, Next G TV, is a licensed national television company that the AAL is partnering with to enhance its national television presence”. The American Arena League, for sponsorship and Troptions branding during the 2018 AAL season to include the 2018 American Arena League Championship Presented by Troptions. In addition, the agreement also includes a one-year extension that would benefit new AAL expansion teams and the anticipated AAL Western Division for the 2019 season. And to the American Arena League privately owned thirteen member teams for “Name the Field” or other major field branding with each team. The American Arena League will receive $1.3 million in Troptions cryptocurrency less any commissions and fees payable under the terms of the agreement. Over the next two years, AAL member teams will directly benefit from this sponsorship in profit sharing and team services. Tim Viens, CFO of American Arena League “I have since built a fantastic partnership through NASCAR with Troptions and this new relationship with the AAL will open so many doors for the future of the league and it’s member teams. We are excited to grow this relationship and league as the predominant league in all of arena football. TROPTIONS have an ecosystem built around them serviced and managed by the Troptions Corporation. TROPTIONS have been used in a system originally developed 14 years ago which provides Trading OPTIONS. TROPTIONS became a cryptocurrency in September 2016. The Troptions Corporation is the issuer of the ecosystems cryptocurrencies. Cryptocurrencies have given the flexibility to credits and debits using the Bitcoin Blockchain ledger. TROPTIONS are a Counterparty (XCP) Asset on the Bitcoin blockchain.The Troptions Corporation has disseminated its cryptocurrency and ecosystem throughout the world through expeditious and prudent commerce. To date Troptions has bought over 1.5 Billion dollars in assets.TROPTIONS is an Xchange system secured by the Bitcoin blockchain. The blockchain provides a peer-to-peer network that timestamps transactions by hashing them into an ongoing chain of hash-based proof-of-work, forming a record that cannot be changed. Like other cryptocurrencies whose worth is determined by free market forces, TROPTIONS can be Xchanged for US dollars through the blockchain. Additionally, TROPTIONS can be exchanged for other cryptocurrencies or used for purchasing items of value. Unique to TROPTIONS is the ability to trade for items that are exclusively within the Troptions system. Whether it is Real Estate, Mineral rights, Hotel rooms, Businesses, Hotels, Automobiles, Television Network airtime, Seminars or whatever is currently offered through the TROPTIONS trade system, TROPTIONS holders are able to find opportunities that would otherwise not be available to them. This is a proof-of-utility that makes TROPTIONS a different kind of cryptocurrency. The American Arena League is the largest professional arena/indoor football league in the United States.The AAL resulted in the merger between Arena Pro Football and the Can-Am Indoor Football League as well as teams from Supreme Indoor Football and the National Arena League. Currently the league plays in thirteen cities up and down the east coast. With an established base of east coast teams, the future is bright as the AAL is in discussions with numerous teams to bring a Western Conference to the league in 2019. January 29, 2018, Denver, NC – Mike Harmon Racing announces Daytona Sponsor with Troptions Corporation, a trading company that has built a vibrant community providing exposure to a myriad of trading options. Troptions Corporation is exchanging its cryptocurrency, TROPTIONS, to MHR. Troptions will serve as Primary sponsor for the #74 Xfinity car driven by Mike Harmon. And will be the primary sponsor of the #74 Camping World Truck driven by Tim Viens at Daytona Speedway. Bryan Stone, President of Troptions Corporation who facilitated these relationship says, “I’m very excited and it is an honor to sponsor Mike Harmon Racing. Garland E. Harris, Chief Executive officer, of Troptions Corporation says, “I am thrilled to be in the position to sponsor what I consider is the most American of all sports. TROPTIONS have been used in a system originally developed 14 years ago which provides Trading OPTIONS. TROPTIONS became a cryptocurrency in September 2016. The Troptions Corporation is the issuer of the ecosystems cryptocurrencies. Cryptocurrencies have given the flexibility to credits and debits using the Bitcoin Blockchain ledger. TROPTIONS are a Counterparty (XCP) Asset on the Bitcoin blockchain. Mike Harmon, Id like to thank www.RaceDaySponsor.com for partnering us with a great company like Troptions for Daytona, and we look forward to a great race weekend with our new partners. Mooresville, NC (January 25, 2018) Premium Motorsports announces partnership with Troptions Corporation, a trading company that has built a vibrant community providing exposure to a myriad of trading options. Troptions Corporation is exchanging its cryptocurrency, TROPTIONS, to Premium Motorsports. 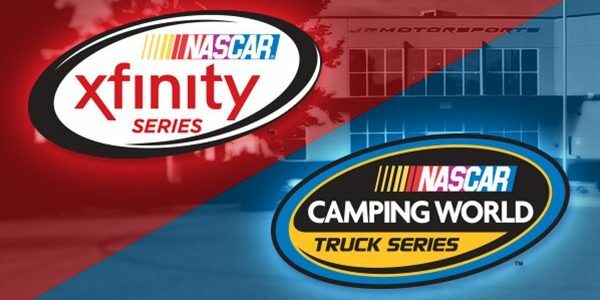 Starting with the ‘Nextera Energy Resources 250’ at Daytona, Troptions will serve as Primary sponsor on the Premium Motorsports, #15 Camping World Truck for the first 4 races of the season with pending sponsorship for all remaining races. Robby Lyons will drive the #15 truck for the team. Troptions will also serve as an Associate sponsor for the team’s Monster Energy Cup car entry for the first 4 races of the year with pending sponsorship for the remainder of the Monster Energy Cup season as well. Premium Motorsports currently fields the Number 15 and Number 7 Chevrolet Camaro in the Monster Energy Cup Series as well as the Number 49 and Number 15 Chevrolet Silverado in the Camping World Truck Series. Oct 13, 2017, Boca Raton, FL – Troptions Corporation, a trading company that is building a vibrant community providing exposure to a myriad of trading options announced that it has made an equity investment valued at $500,000,000 in Expedite Re SA which is a contract surety and trade credit insurance company based in Uruguay, South America. Troptions Corporation is providing Expedite Re SA with 82,644,629 worth of TROPTIONS which equates to an investment of over $500,000,000 based on the TROPTIONS transaction price of $6.05. Expedite Re SA will use this capital contribution to increase its book of contract surety and trade credit programs. Nicholas M Cooke, Director of Expedite Re SA says, “This partnership with Troptions Corporation allows Expedite Re an increase in capacity is also driven by an anticipated improvement in market conditions and a desire to have sufficient capacity available to participate in a widespread market turn. This follows a period of significant catastrophe activity in 2017 in which more than US$100 billion of industry capital is estimated to have been destroyed.” Given this desire to increase capacity for Surety and Trade Credit insurance and reinsurance lines, it’s to be expected that the Expedite Re’s strategies will also be looking to increase the third-party capital available to it in time for the key January renewals. With key players in the market forecasting that the turn in the market will be “widespread” This will allow the Company to take advantage of market conditions, capture market share and grow premium organically. Troptions Corporation is a trading company that is building a vibrant community using the signature cryptocurrency TROPTIONS which provides a myriad of Trading OPTIONS. It is through the corporate buying power and talented curation of products and services that exclusive opportunities are made available to the Troptions community. TROPTIONS are a Counterparty (XCP) Asset on the Bitcoin blockchain. Expedite Re SA has identified an opportunity in the underserved non-standard segment of contact surety and Trade Credit and has launched a dedicated program to serve this market. Within this market environment, the Company believes that there are significant opportunities to capture market share while implementing methods to control risk. As a mono-line surety carrier and trade credit provider, the Company intends to take a more time-consuming and personal approach to underwriting and provide the dedicated service that is lacking with the larger, multi-line carriers. October 13, 2017, Atlanta, Georgia: TROPTIONS Corporation, a trading company, has just officially announced that the world renowned motivational speaker, Les Brown, has joined the TROPTIONS family as one of their spokespersons. The “King of Motivation” has joined the “Coin of Kings” and is scheduled to travel to many major cities in the United States over the next few months empowering and educating audiences concerning TROPTIONS Corp.
TROPTIONS Corporation has successfully become one of the fastest growing trading companies that is building a vibrant community using the signature crpytocurrency TROPTIONS which provides a myriad of TRADING OPTIONS. It is through the corporate buying power and talented curation of products and services that exclusive opportunities are made available to the TROPTIONS community. TROPTIONS Corp. is a Counterparty (XCP) Asset on the Bitcoin blockchain. President of TROPTIONS Corp., Bryan Stone says, “I am very excited for our TROPTION family to have the opportunity to work with Mr. Les Brown. This is a game changer for this industry. By teaming up with Mr. Brown, the noise will be made and our voices heard around the globe about TROPTIONS. This will enhance all of our dealings around the world and increase our rapidly growing company at an even much faster pace”. Les Brown is the leading authority on releasing human potential and enhancing lives. As a renowned professional speaker, personal development coach, author and former television personality, Les Brown has risen to national and international prominence by capturing audiences with electrifying speeches, challenging them to live up to their greatness. TROPTIONS Corp. CEO Garland Harris, is elated to have Les Brown join the team. Every day as the value increases, more and more people are becoming aware of how currency is changing and so is business as we know it. With key players in the market forecasting that the turn in the market will be “widespread”, this will allow the businesses to take advantage of market conditions, capture market share and grow premium organically. Les Brown is just the voice we needed to ensure that this happens. By adding the most powerful motivational speaker in the country, the word will not only get out expeditiously but resonate in the minds of those seeking an opportunity to diversify their portfolios and as Mr. Brown says, “they will start to live out their dreams and destinys”. Troptions Corporation Transferred 18,000,000.65 TROPTIONS, a Counterparty (XCP) Asset, to NextG Exempt Telecommunications Company, Inc.
Los Angeles Cal , August 23, 2017 (GLOBE NEWSWIRE) — Troptions Corporation, a trading company that provides TRade OPTIONS, has transferred 18,000,000.65 TROPTIONS on the Bitcoin Blockchain using Counterparty (https://Counterparty.io) to a cryptocurrency wallet owned by NextG Exempt Telecommunications Company Corp (NxG-etc), d.b.a. NextG Corp, (F.C.C Certified Exempt Telecommunications Company), a provider of multimedia telecommunications of Ultra HDTV up to 8K resolution, forthcoming advanced Internet Broadcasting Services to the Public in Silicon Beach, Venice, California. Mr. Harris states, “I look forward to working with NxG-ETC partners, which are developing back up communications systems for 1st Responders, CERTS Community Emergency Response Teams programs, beginning is Silicon Beach and the Zuma Beach, California areas. www.khdtv.net a NextG Company affiliate. NextG ETC, d.b.a. NextG Corp, (F.C.C Certified Exempt Telecommunications Company) will sell ultra HDTV cable services to the public starting with 2,000 channels of 4K resolution, NxG-ETC is currently applying for an FCC exemption to broadcast 8K experimental broadcasting station for EAS 1st Responders communications. Eventually the 4K and 8K IP Internet broadcasting services can reach all residents via the exclusive Troptions Bitcoin distribution services in the U.S.A. NxG-ETC “The Company” will provide the IP broadcast to any cellphone, DTV or computer with smart chip technology. NxG-ETC is fully licensed by the F.C.C. Federal Communications Commission and registered with the SEC Securities Exchange Commission by the F.C.C as an Exempt Telecommunications Company to resell advanced telecommunications services throughout the U.S.A. The company will provide exempt cable channel content, PPV Pay Per View movies and sports channel exclusives in “eye popping detail” and color similar to any ultra-high resolution movie theater. The Company hopes eventually to expand its prepaid telecommunications product offerings into additional European Countries. The foregoing press announcement contains forward-looking statements that can be identified by such terminology such as “believes,” “expects,” “potential,” “plans,” “suggests,” “may,” “should,” “could,” “intends,” or similar expressions. Such forward-looking statements involve known and unknown risks, uncertainties and other factors that may cause the actual results to be materially different from any future results, performance or achievements expressed or implied by such statements. In particular, management’s expectations could be affected by, among other things, uncertainties relating to our success in completing acquisitions, financing our operations, entering into strategic partnerships, engaging management and other matters disclosed by us in our public filings from time to time. Forward-looking statements speak only as to the date they are made. The Company does not undertake to update forward-looking statements to reflect circumstances or events that occur after the date the forward-looking statements are made. HOUSTON, July 27, 2017 (GLOBE NEWSWIRE) — Troptions Corporation, a trade exchange company transferred TROPTIONS to SW Innovative Holdings, Inc. d.b.a. Everybody’s Phone Company, (OTC PINK:SWHI) in exchange for 15,000 prepaid landline packages. Bryan Stone, CEO of The Real Estate Connections says, “We have executed the agreement we started with Troptions on June 27th, 2017. TREC Media Group is a division of The Real Estate Connections an Atlanta, Georgia Real Estate Company that offers both Training and Education for than 11,000 real estate investors on buying and selling real estate. Troptions Corporation transferred 2,702,703.0000 TROPTIONS on the Bitcoin Blockchain using Counterparty (https://Counterparty.io) to a cryptocurrency wallet owned by TREC Media Group. 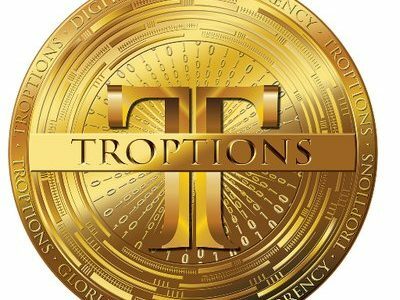 Troptions Corporation is a trade exchange company that is building a vibrant community using the signature cryptocurrency TROPTIONS which provides a myriad of TRading OPTIONS. It is through the corporate buying power and talented curation that over $32 Million of TROPTIONS have been traded in 2017 for products and services. This provides exclusive opportunities to the Troptions community other than speculative token trading. TROPTIONS are a Counterparty (XCP) Asset on the Bitcoin blockchain. TROPTIONS intends to lead with a fully compliant Initial Coin Offering – ICO in 2017. SW Innovative Holdings, Inc. d.b.a. Everybody’s Phone Company, (OTC PINK:SWHI) sells prepaid, unlimited local (dial tone) telephone service to the residential market, primarily in greater Houston. The Company is fully licensed by the Texas Public Utility Commission to resell telephone services throughout the State. The Company hopes eventually to expand its prepaid telecommunications product offerings into additional states in the future. ATLANTA, GEORGIA, July 10, 2017 (GLOBE NEWSWIRE) — Troptions Corporation, a trading company that provides TRade OPTIONS, has transferred 36,231,884.06 TROPTIONS on the Bitcoin Block chain using Counterparty (https://Counterparty.io) to a cryptocurrency wallet owned by Metro Capital Group, LLC a business consulting and financial services firm based in Atlanta, Georgia. Troptions Corporation is a trading company that is building a vibrant community using the signature cryptocurrency TROPTIONS which provides a myriad of TRading OPTIONS. It is through the corporate buying power and talented curation of products and services that exclusive opportunities are made available to the Troptions community. TROPTIONS are a Counterparty (XCP) Asset on the Bitcoin block chain. Metro Capital Group, LLC provides business consulting and financing services to a wide range of industries. Our business consultants have the skills and knowledge it takes to succeed at the higher levels in business. Ultimately, the goal is for you to be able to differentiate yourself from the pack. It’s about building acumen, thinking creatively, having advanced skills in your toolbox. Metro Capital Group is the toolbox that can help your business achieve its goals.